This is the first IWSG day of the New Year. 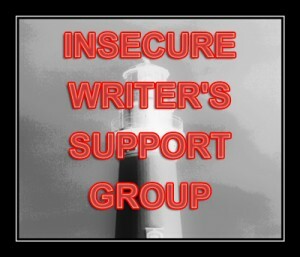 IWSG stands for Insecure Writers Support Group and was founded by Alex J. Cavanaugh. You can follow other IWSG members here or on twitter using the hashtag #IWSG. We also have a Facebook page. Can you believe it’s 2016? Looking back, I didn’t accomplish much with my writing last year. 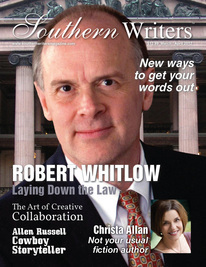 I have nothing to show except the articles I wrote for Southern Writers Magazine and four very rough novella drafts. Do you choose a word for the year? This year my word is IF. IF I focus on my goals, I can and will accomplish them. I think I set myself up for failure because my goals list is too long and I don’t set a deadline for each project. That’s going to change; every goal has to have a deadline. Here are my goals for this year. I have to work out some of the deadlines. I have five articles to write for Southern Writers Magazine. I’ve chosen my authors to interview and will soon send them their list of questions. I need to look at my calendar to note my deadlines. One Fine Day – Working title for my novella – Deadline is March 1. I have nothing but a rough outline so this is ‘new’ writing. The Little Girl in the Bayou – Mystery Short Story—submission deadline March 15th. The story is complete, I just need to check it over and make sure word count and theme match up with publishing guidelines. Novella Series—Rewrite and Edit 4 rough drafts by July 1st. Listen to the Butterfly – Nonfiction book I’m working on. Determine date for completion and race toward it. Even though I have so many other projects I yearn to complete, this is all I’m planning to focus on through July then I’ll take another look at how I’m progressing. What are your goals for 2016? How do you monitor your progress? Got any tips for me? I’m a loosey-goosey writer who haphazardly plots, researches, writes, and blogs. Any and all suggestions are welcome! Let’s make a deal: Let’s leave 2015 failures behind and move forward with our dreams and goals. Hopefully, 2016 will be a good year for all of us. IWSG Day and Happy 2015! Happy New Year, and Happy IWSG Day. 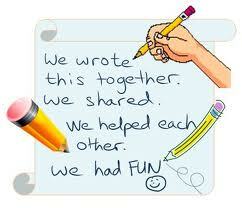 The purpose of IWSG is to share and encourage. Writers can express doubts and concerns without fear of appearing foolish or weak. Those who have been through the fire can offer assistance and guidance. It’s a safe haven for insecure writers of all kinds! (And that would be ME!) IWSG was founded by Alex J. Cavanaugh and has hundreds and hundreds and hundreds of members. You can be one too. You can follow other IWSG members or meet them on twitter using the hashtag #IWSG. We also have a thriving Facebook page. Look us over. I think you’ll like us. Today we’re supposed to introduce ourselves. My name is Jess, Jessy, Jessica–choose one–and I am an insecure writer. I’ve had a couple of books published, numerous magazine articles, and I’m a staff writer for Southern Writers Magazine. But guess what! I’m still insecure. No matter what I accomplish I’m never quite sure it’s for real, that it isn’t some crazy fluke thing that happens. How about you? Did God bless you with an enormous amount of self-confidence? 2014 was an interesting year for me. Hubby entered into his first full year of retirement which meant I had some adjusting to do. I’m still adjusting. Our daughter got married and we renovated our house. Retirement, wedding and the renovation from hell should have sent me into a deep, dark depression but I made it. Guess I’m stronger than I thought. I didn’t get much writing done in 2014, but I am proud of a few things. 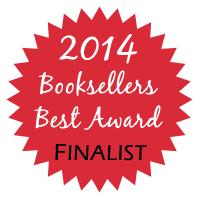 My novella, The Last Daughter, finaled in the Booksellers Best contest, a Published Authors’ Contest sponsored by Greater Detroit Romance Writers of America. 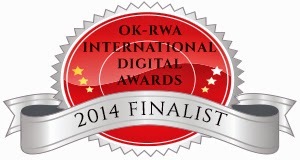 I was also a finalist in the Ida contest–the International Digital Awards sponsored by Oklahoma RWA. I think the best award of all has been that my stepson actually read The Last Daughter and even recorded it in his book journal right beneath Stephen King! I don’t have any specific plans for 2015. For some reason my plans tend to fall by the wayside, so I’m just going to write, write, write whatever book, article, short story that pops into my heart. That seems to be when I accomplish the most. What do you want to achieve in 2015? Share details! Happy New Year! 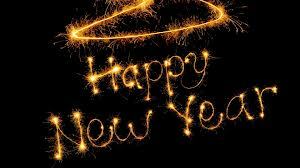 Today is the first day of 2013. I told a friend at church that my hair is still blowing because of how fast 2012 flew by. 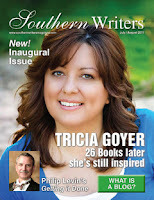 I accomplished a few things that have kept me motivated and feeling like a real writer: interviewed authors Christa Allan, Terri Blackstock, Robin Carroll for Southern Writers Magazine. 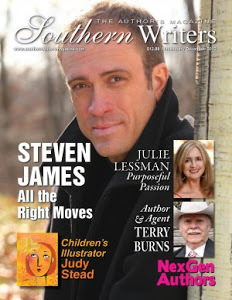 Even had the cover story with my interview with thriller writer Steven James; wrote a Christmas short story as part of an anthology, wrote a novella, sold and signed a contract with The Wild Rose Press for the novella. And, most fun and lucrative of all—I spoke at the Bayou Writers’Conference. I have to add that we moved to Oklahoma in March. That plays a large part in my accomplishments. I think getting out of my ordinary world, being plopped down in an area where I had no friends, forced me to write. I joined OKRWA, and I do have one Louisiana pal who lives in Norman and meets me at a library every other Tuesday for a day of writing. We encourage each other by listening to our pounding keys. Those few achievements happened in quick succession and I wish I could have kept up the momentum, but I couldn’t—or didn’t. The holidays hit. My mother fell and broke her hip and is in rehab. Her mood has fluctuated tremendously, as has mine. One moment I think she might bounce back and at other times I wonder if she even wants to bounce back. My thoughts are continuously yanked from writing. I don’t like the phrase New Year’s Resolutions so instead of making them, I think I’ll just have a Want To Do List and a Must Do List. I MUST finish the first revision of my novella. My editor pointed out a few places where the characters need more motivation, explanation, etc before she actually does line edits. I’ve completed it but need to do another pass or two, reading carefully. Editor wasn’t 100% happy with the title and I wasn’t either. Peace of Heart fit the story but it sounded more inspirational than romantic suspense. After brainstorming with my daughter and her reading friends, we’ve chosen The Last Daughter. I love it! The new title has been approved by the editor. I MUST finish the paperwork for marketing for TWRP and get a handle on promotion. I’ve never been so overwhelmed in all my life. I was under the misconception that I knew all about promoting myself and my work. How difficult can it be? Well, believe me, I don’t have a clue. There’s a lot to learn and much to do. I’ll be expected to blog with the Scrimshaw Doll authors. My turn comes up Wednesday. I’m a little nervous about ‘mandatory’ blogging even though it will be all about my story and my characters. I’m sure there are other things I MUST do but let’s get on to the Wants—more fun. And certainly easier to WANT something than actually DO it. Right? I WANT to start my nonfiction book. I keep making notes but I can’t get a handle on how I want to do it. I should probably just start writing instead of having fun with all the research. 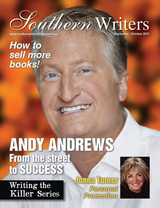 I WANT to continue writing for Southern Writers Magazine in 2013. I WANT to attend two conferences: the OWFI in late May(to meet Jane Friedman). Check out this interesting post. And the Killer Nashville in August if I have a new romantic mystery to market. I WANT to finish editing my published book, The Groom Wore Blue Suede Shoes. I got discouraged because it seemed outdated to me, but other authors have backlists that were published waaaaay before Groom was, and they’re not updating their books. What do you think of putting a disclaimer in the front letting the reader know it was published by Silhouette Romance in 1996. Is that done? And then I have to actually learn how to publish it. Sometimes my brain hurts! I WANT to make another couple of passes through my novel, A Bad Guy Forever. I think there are still scenes that need fleshing out. It doesn’t feel quite right yet. Then I want to submit it to a traditional publisher, if I can find one that doesn’t require an agent. I’m not sure I want another agent. And if I got one, would they submit to small presses and epubs? I can do that myself. Publishing has become tricky. Sometimes I like the new direction; sometimes I think everything is all screwed up. I WANT to write another novella. Maybe two. I WANT to participate in the A to Z Challenge again this year. And continue to blog once a month for the Insecure Writers Support Group. Both of these groups are ‘heart-groups.’ I love them! I WANT to get more active about reading other blogs and visiting/posting to my yahoo groups. I’m a member of several wonderful writing loops and they don’t know I exist–or have forgotten. Should I visit them twice a week, every day or what? The Wild Rose Press author’s loop is overwhelming! I can’t believe how much other writers accomplish. How do they do it? I move at a snail’s pace. I WANT to revise Reinventing Rita. I’ve retitled it and can’t remember the new title. Guess that means it doesn’t work, huh? I WANT to write some more romantic short stories for various epublishers and anthologies. I WANT a career plan. This week I’ll locate my new 2013 calendar (where did I put it?) and assign firm deadlines to some of these tasks. There are specific things I want to accomplish while here in Oklahoma and we’ll be moving out in June. I have six months to . . . I WANT to accomplish much more in 2013! And I want you to, too!